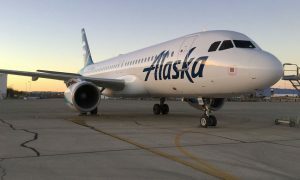 A former captain with Alaska Airlines who admitted piloting a plane carrying more than 80 passengers while under the influence of alcohol was sentenced today to one year and one day in federal prison. David Hans Arntson, 63, of Newport Beach, was sentenced by United States District Judge Cormac J. Carney, who also ordered Arntson to pay a $10,000 fine. Arntson pleaded guilty in February to one felony count of operating a common carrier while under the influence. When he pleaded guilty, Arntson admitted that he piloted two Alaska Airlines flights on June 20, 2014. The first flight was from San Diego International Airport to Portland, Oregon. He then flew a plane from Portland to John Wayne Airport in Orange County. After landing at John Wayne Airport, Arntson was selected for random drug and alcohol testing by Alaska Airlines. 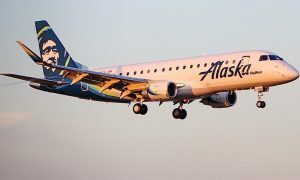 A technician for Alaska Airlines performed two breathalyzer tests that showed the pilot had a blood alcohol concentration of 0.134 percent and 0.142 percent, both of which were well above the federal limit of 0.04. 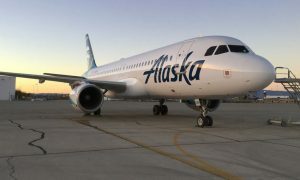 After the technician informed Alaska Airlines of the test results showing alcohol in his system, the airline removed Arntson from all safety-sensitive duties. Following the June 20, 2014, incident, Arntson retired from the Alaska Airlines, and the Federal Aviation Administration revoked his ability to pilot a plane. In a sentencing memorandum filed with the court, prosecutors said that “during at least a substantial portion” of his more than 20 years as a captain for Alaska Airlines, Arntson was an alcoholic who concealed his drinking from the airline and the Federal Aviation Administration. The investigation into Arntson was conducted by the United States Department of Transportation, Office of Inspector General. This case was prosecuted by Assistant United States Attorneys Dennis Mitchell and Mark A. Williams of the Environmental and Community Safety Crimes Section.